If you’re looking for something to make you stand out from a crowd, look no further than our collection of men’s bracelets. It includes stylish choices made from leather, stainless steel, titanium, and tungsten. 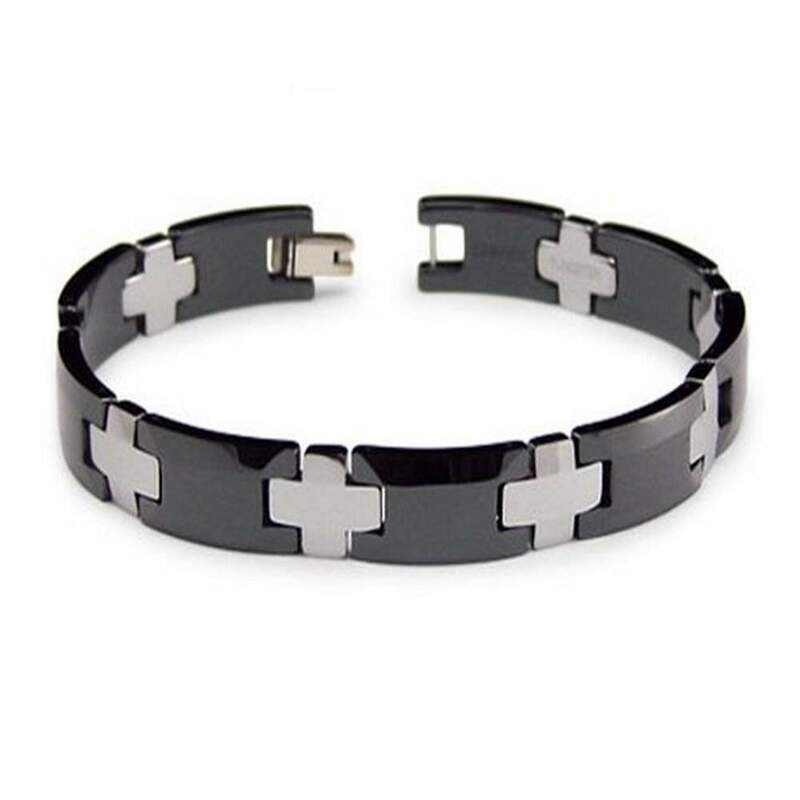 These are all fine materials that are durable, strong, and they will fit comfortably on your wrist. 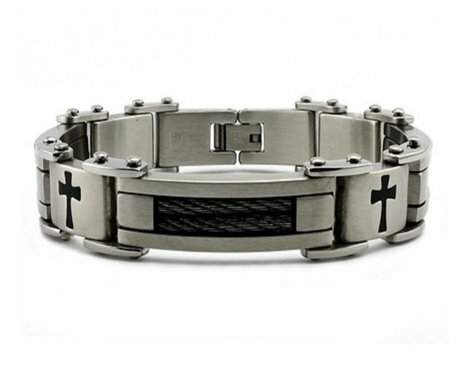 We have tons of edgy designs that are perfect for the modern man in your life. Whether he prefers classic or contemporary designs when it comes to fashion and jewelry, we’re sure we can find something that he loves. We have many creative designs that you won’t find anywhere else. 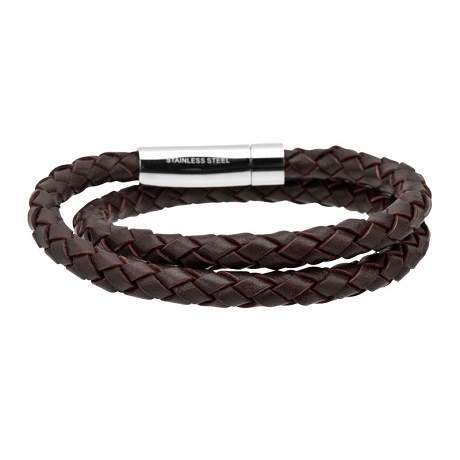 If you’re looking for something lightweight and symbolic, our choices of leather bracelets would be perfect. Or even something that is more durable and shiny, our options of tungsten and titanium would also be a great match. We have many different styles that are available in many styles that are trendy, and bold. 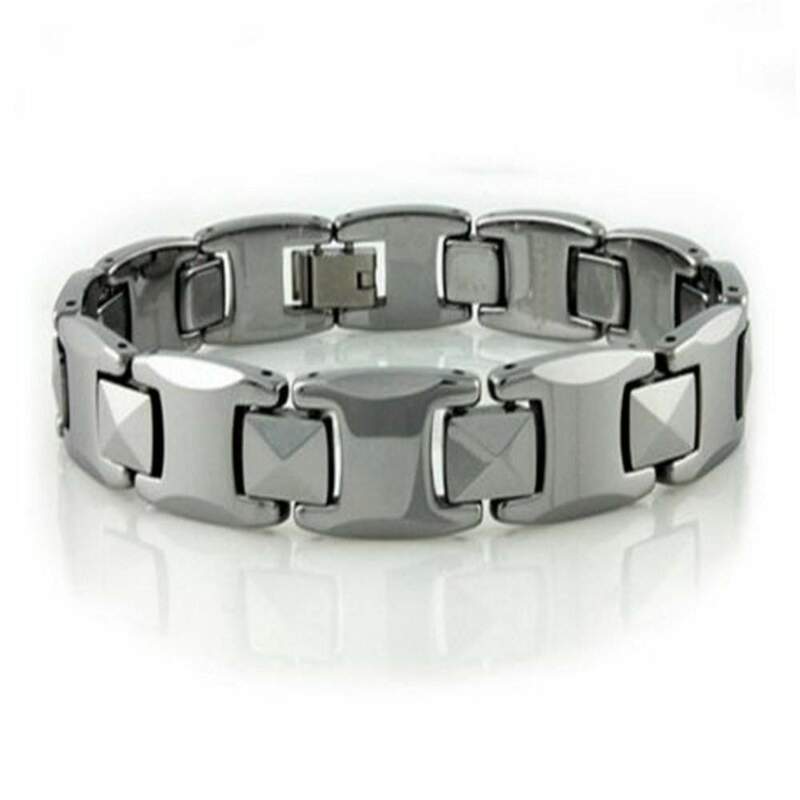 Our men’s bracelets are comfortable to wear, affordable, durable, and look fantastic. All of our choices have been designed by some of the best experts in the industry that combine many creative designs perfectly. Whether it’s a satin-finished style, or polished minimalistic chain, all of our men’s bracelets provide a unique look that you can show off. 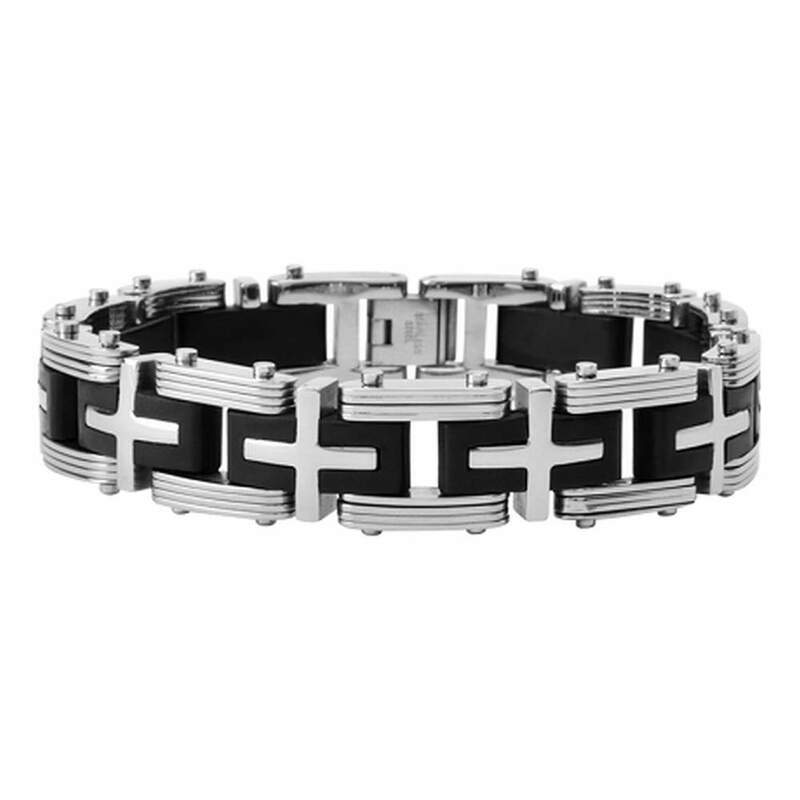 We have choices in black and silver, with many different designs to represent your faith, passions, and much more. 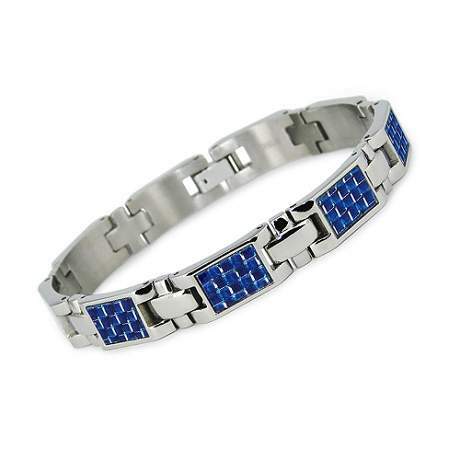 Anything from our selection of men’s bracelets can be worn on a daily basis. We are focused on providing incredible quality, for a value you can’t refuse, that’s what makes us unique here at JustMensRings.com. We invite you to browse our extensive selection that is full of stylish choices that are long lasting, and very trendy.